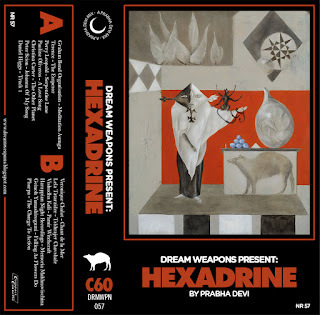 "Hexadrine is a slight departure from what I normally put out on Dream Weapons but i've been listening to a lot of meditative, strange, chants, prayers, mantras lately and it seemed time to make a compilation with some of that thrown in between other normal songs. Take it for what it is, listen to one song or the whole thing. It doesn't really matter anyway"